At Little Dance, we specialise in creating custom, personalised & photo invitations and announcements for all occasions in life. From kids birthday party invitations to wedding photo invitations, from birth announcements to a 70th wedding anniversary invitation, we have designs and themes to suit any celebration. 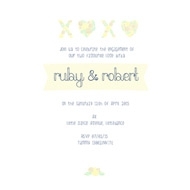 We offer both printed invitations and printables. We are based in Australia and deliver Australia wide. All of our occasions are listed below - simply choose the event you are shopping for to be taken to our online shop. A child birthday is a special day - and a birthday party definitely deserves to be the best it can be. From first birthday party invitations to seconds and beyond we have you covered. With themes that are tailored to be suited to a younger child's age, and growing as our children grow - from teddy bears and baby animals to superhero and fantasy, then rockstar and other themes. Special designs just for boys - and even more special, and very pretty invite designs for girls. 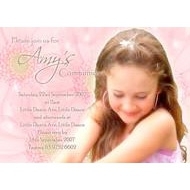 Personalised, photo invitations, caricature designs, glamour, soft pastel, colour themes. Simply browse our range and choose the design that suits you best. Our kids birthday party invitations range is one we are particularly proud of. With hundreds of designs in all kinds of themes from fairy fantasy to planes, trains and automobiles, cartoon style, as well as our ever popular photo invitations for kids birthday parties. Available to order online or in store at our Melbourne shop. Once we grow past childhood, through into the teenage years, we encounter a new type of birthday - the milestone birthday. Typically these are 18th, 21st, 30th, 40th, 50th birthdays and beyond. 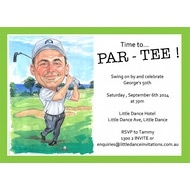 Little Dance has a comprehensive selection of invitations designed especially with milestone birthdays in mind. These often include favourite activities or sports themes, Footy, soccer or other sports team themes, or the event theme itself. 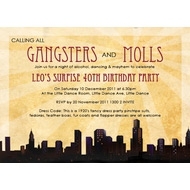 Party themes could be things such as masquerade, gangsters ball, or similar. Our milestone birthdays can be found on our grown ups invitations pages, while our caricature invites are also hilarious! 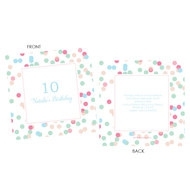 Our wedding range and our engagement party stationery is not like everyone else's. Truly. Yes we make great wedding invitations, especially the photo wedding invitations, however ours are perhaps not as formal as many you might find elsewhere. You see, we focus on fun. And affordable. So while the price might be cheap compared to letterpress or hand made invites, the result is sure to please. Babys on the way? A baby shower is one of the most precious parties that there can be. Family and close friends gather protectively to share, to love, and to show we care. 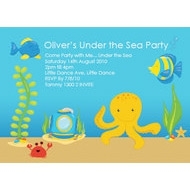 Our baby shower invitations reflect this, all designed in popular themes with our own special touch. We have a range for boy babies, other invitations just for girls. If you prefer to keep things a mystery until the big day, we also have gender neutral designs too. Our baby shower supplies range doesn't stop at the invites however. We have personalised stationery such as baby shower labels , a stunning selection of wide format banners and backdrops, baby shower favours, lovely lollipops for baby showers - even personalised edible images just for baby shower parties. And who could go past those beautiful - and delicious - personalised chocolate bars for baby showers ? Perhaps one of the three most significant events in life - invitation wise, that is. Christenings, baptisms and naming ceremonies have differing themes, but are certainly equally significant to those that hold them. Accordingly, no effort has been spared to ensure that the invitations we send out for these are the best they can be. 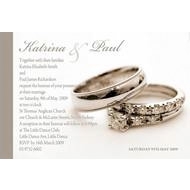 Tasteful artwork including religious symbols and icons, together with life themes, your personalised message and a photo in some designs cleverly combine to make an invitation you will be proud of . As with our baby showers, our christening, baptism and naming range also includes christening bonbonniere , personalised banners, and custom chocolate bars in wrappers for christenings and baptisms . Christening and baptism favours are another specialty with our christening lollipops becoming very popular. And if you would like to have your cake and eat it too, make sure you have a look at our christening edible images for cakes and cookies. Other occasions - yes, there are lots of them! Where do we begin. At the beginning, of course. After the pregnancy announcements, and the baby shower invitations we have already talked about, lets have a quick chat about our birth announcements. Granted, since the advent of email printed birth announcements have been less used, and also since the advent of social media and instant sharing of photos. That said, there is something special about physical printed birth announcement cards with a magnet on it that you can use as a keepsake on the fridge that social media simply cannot match. When you close the browser that photo disappears but we have been told that birth announcements we printed way back in 2007 are STILL on fridges across Australia, taking pride of place. We mentioned christenings, baptisms and naming ceremony invites earlier as well. There is another religious ceremony that is also significant : first Holy Communion. We have a range of designs for both boys and girls. As with all of our printed products, we offer both printed version and printable digital file, for those who prefer to print their own invitations. One occasion we haven't mentioned so far is kitchen teas. What is a kitchen tea? A reasonable question we think....but by asking it we do have to say that alas, we cannot answer. Not completely anyway. A kitchen tea party is a tea party for a woman who is about to be married. Not a hens party, nor a bridal shower, but a kitchen tea. An afternoon occasion with close associates. According to legend, men will never know what happens at a kitchen tea! We touched on bridal showers just now, and just as well. Yes we do make personalised and photo bridal shower invitations, hens party invitations and bucks night invites. Ours are family friendly of course as this is a G rated site. No naughty hens or bucks invites here - but what happens on your hens or bucks party night, well the only limit is your imagination. Christmas.....merry Christmas everybody! We simply wouldn't be a personalised stationery business if we didn't offer personalised photo Christmas cards online now, would we? Our designs started with two co operative kids sitting on a way oversized Christmas pudding. OK, so photoshop allegedly was involved. 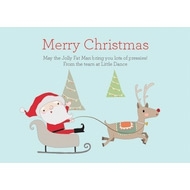 From there, families Australia wide have enjoyed personalized and custom made family photo Christmas cards from Little Dance. As we have said here before, social media has made it all to easy to click a Merry Christmas message but nothing beats a good old fashioned paper Christmas Card delivered to your letterbox. Matching party supplies, decorations and bonbonniere? No problems. 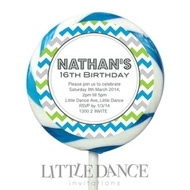 Little Dance is one of Australia's leading online and real world specialists in complete party styling. 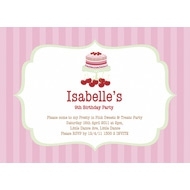 Since beginning in 2007, we have created personalized party supplies that match your invitations. Listening to popular demand, we increased the range of matching themed party supplies that we offered for sale online in Australia to include decorations, bonbonniere, party sweets, and glassware. This means that clients can now purchase all of their party products online, and all in the one theme. If you would like to find out more about our party products and supplies,. please have a look at our contact page - either send us an email, or call us during business hours and one of our trained team will be happy to help with your ideas.